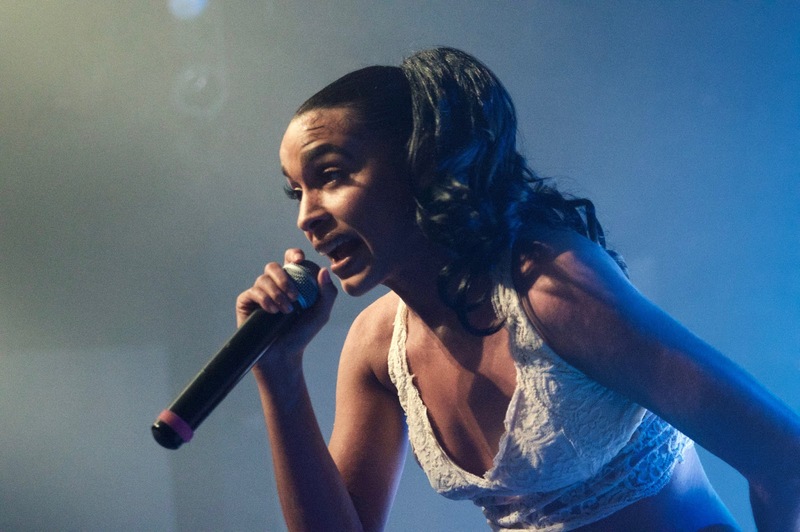 New York rapper Princess Nokia blessed Lawrence fans on Thursday night with the kind of hip-hop show the world desperately needs more of. After strutting onto the stage and performing her first song, Nokia demanded the audience's attention as she laid out some ground rules. She declared her show a safe space; women, people of color, and trans people were to be given priority sight lines and anyone made uncomfortable were told to notify the staff immediately. It was highly likely that for many people in the room that this was already the best hip-hop show they could ask for. The show that followed held highlights at every turn. Nokia served Kansans up a slice, quite literally, of New York City. Several of her songs paid homage, sonically and lyrically, to the city that birthed her and the genre. She also crowd-surfed on an inflatable slice of pizza. Early performances of "Kitana" and "Brujas" hyped the crowd up just as effectively as her male, moshpit-obsessed peers. Halfway through her hour-long set, Nokia announced that this was her first time performing her album "1992 (Deluxe)" in full. When one song wasn't ready to be played on her DJ's computer, Nokia kept her word and performed it a cappella. Her interactions with her fans were just as genuine, often reaching out to hold their hands as they sang along. Princess Nokia's DJ UNIIQU3 performed an opening set that acted as a boisterous introduction to Jersey club music. Her booty-centric mixes -- one of which featured a flip of Sum 41's "Fat Lip" -- were hard to ignore and the two original tracks she rapped filled the room with smiles.